Catalia Health uses social robots for health – LET'S TALK ROBOTS! Catalia Health is leading the surge in social robotics, with Mabu, their patient care management system. 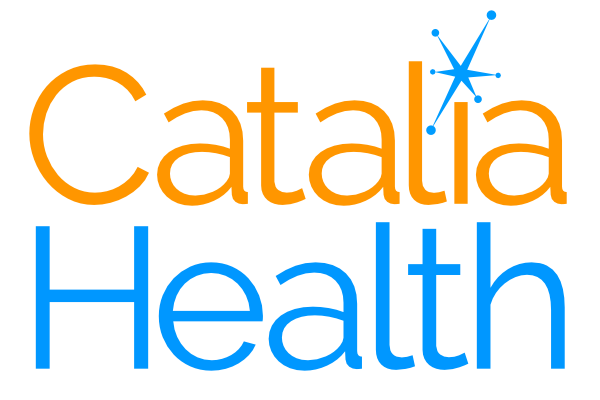 Catalia Health likes to be seen primarily as a health company that utilizes robots, rather than a robotics company. This focus on solving real world problems while shipping a product has seen Catalia attract both customers and investors, and recently close their Series A round. Catalia Health is a patient care management company. We focus on helping patients adhere to their treatment, whether that be taking medication, or managing chronic disease over the long term. That’s the focus of what we do, and part of how we deliver this to patients is through a cute little robot called Mabu who engages with patients through conversation. She’s a little over a foot tall, and can sit wherever you want to put her … on a countertop or bedside table … and she has big eyes that make eye contact with you while you’re talking to her. Conversations with her might last a minute or two, or maybe five or ten minutes; it really depends on the individual patient and what they want to talk about. Mabu has a touch screen on the front that she can use to display information, but our overall focus is to create an engaging relationship between the technology and the patient. The reason that we use the robot — as opposed to just delivering this through a phone screen or a tablet or PC — is about psychology and not about technology. When we are in front of a robot that has eyes that can look at us and blink, we tend to be more engaged, and we find the robot to be more credible and informative than if the same information were delivered to us through an app. While we have a lot of healthcare applications that we’re looking to build, the core of this is really just basic psychology: how can we create engagement that lasts for a long time? Psychologists have studied the benefits of face-to-face communication for decades. Is speech the primary interaction that people have with Mabu? Our platform’s primary means of interaction is conversation, but this can happen in more than one way. For example, when Mabu is talking, she also displays what she is saying on her screen, to make it easy for anyone to understand what’s going on. And when I reply, I can speak back to her, or I can touch a button or location on the screen. And if I’m not at home, I can also get a reminder via text message … in the future this might happen through an app or other desktop interface. The physical robot is the thing that’s creating the engagement — the relationship — but we can interact with people through other forms of technology as well. Does the conversation with Mabu end at home? How is information transferred to the healthcare provider? We do send information summaries back to health care providers — a pharmacist or physician or some other caregiver — but the overall problem we are trying to help with is that the healthcare system simply doesn’t have enough people to manage chronic disease at scale. So while our technology might also enable tele-operation or tele-presence, the focus of our business is to be able carry out an autonomous one-on-one interaction with patients in real time. 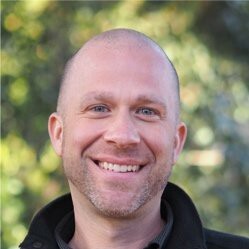 Is the patient, or end user, your customer? Patients get a lot of benefit from our platform, but they are not the ones who are paying for it. Our direct customers are pharmaceutical manufacturers and healthcare providers. They provide programs to help patients be more effective at taking their medications and managing their conditions, so in their eyes we are another tool in their arsenal. Can you tell us about your first deployments? The places where we are rolling out first are where there are existing care management programs already in place, and these tend to be in areas such as oncology and immunology where higher-end drugs are being used. Talking robots are very new and different, so we wanted our contract structure to look as similar as possible to existing offerings. These were the areas where there were already contract types that we could follow into market. We have been rolling out the first several hundred units in the first half of 2016 and are bringing patients onto the platform by the end of this year. What is your business model? Is it “Robots as as Service”? In terms of the patient relationship, our robot is key. But in terms of our business model and contracts, we don’t think of our robot as the key piece of what we’re delivering. We use a service model for care management; our customers pay us on a per patient per month basis. What does interaction with your service look like from the patient’s perspective? If you want to see what the patient interaction with Mabu actually looks like, we have a short video at cataliahealth.com. 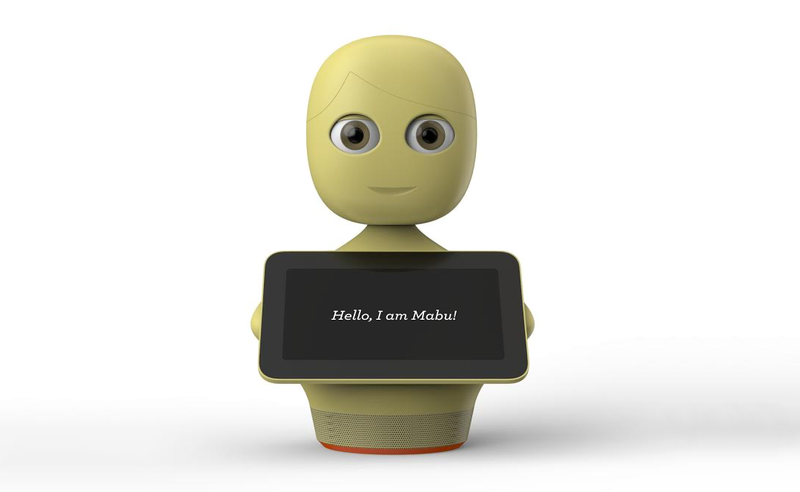 Once the patient plugs Mabu in, the robot comes alive and starts talking. The conversation starts off with greetings and small talk (such as “Good morning, great to see you!”) and then moves on to whatever issue is relevant to the patient at that point in time. Maybe this is simply to check in on whether the patient has taken their medication, or maybe the patient is at a point in their treatment where it’s common to experience certain side effects, and the conversation is about how best to mitigate those for that patient. It really depends on the particular condition or treatment the patient is dealing with. We do a lot of research on each condition before rolling the platform out to patients, in order to build an understanding of common treatment challenges into the application. In the background, the conversation is being crafted in real time for that patient. When Mabu first comes out of the box, we know a little about the patient’s medical condition — perhaps what drugs they are on — but we don’t know much else. So from that very first conversation we start learning about and adapting to the patient’s individual personality and the treatment issues they are facing. Mabu largely directs the conversations, but the patient has a lot of say in terms of where that conversation goes. As we build more conversations and more AI into the platform, we are able to craft appropriate conversations for the patient. This will very quickly become applicable to a lot more drugs and a lot more disease states. Let’s look at side effects, for example. Our first conversations about side effects will be new, but there are many common side effects among drugs. So while we are starting out in just a handful of areas, our goal is to help any patient who’s dealing with a condition on an ongoing basis to better manage their care, and to provide information back to their caregivers so that they can be more effective in supporting them. Is it valid to be concerned about robots being used to replace human companionship? We certainly don’t think of this as robots replacing people; we think of it as robots augmenting people. One of the big challenges in healthcare today is that there are not enough caregivers to deliver healthcare the way we need it. Almost half our population is managing a chronic disease in this country, and there are very similar rates in advanced nations around the world; if we look at the rate of people dealing with health issues on an ongoing basis, it approaches 2/3 to 3/4 of the population. People might get to see their doctor for fifteen minutes every two months, but that’s not much time, and it’s not an effective way to provide the ongoing care that is needed. We simply don’t have enough people to manage healthcare the way we did 50 or 100 years ago. Patients need reminders, and they need answers to all the little questions that come up — and that’s where technology like this comes in. We see our service as a way for the people who are providing health care — doctors, nurses, and other trained caregivers — to more effectively reach a larger group of patients. We are not trying to be people’s doctors, we are trying to help their doctor do a much more effective job. Broadly speaking, the feedback has been very positive. People tend to like the interaction right from the very first conversation, and they like how Mabu adapts to them. We have a great solution that we’ve shown can effectively help many patients, but we still have a lot to to learn. We are really excited about the amount of data that we’re going to be getting back from hundreds of person-months of interaction with our platform this year, and how we’re going to use that to improve conversations and personalize them to every patient. Thanks to social platforms like Siri, Jibo and Amazon’s Echo, we are starting to get used to having conversations with our devices. But you’ve taken a very specialized path into the market. Why did you pick this pathway and business model? Scalability — being able to provide care to a growing number of patients — is a big challenge in health care. I spent about a year before launching Catalia Health really digging into the US healthcare market to explore the business opportunities. We were thinking broadly around medication adherence and chronic disease management, talking to potential customers and trying to understand where there was a need for this kind of technology. The quick answer was that it is needed pretty much everywhere within the healthcare system. The question of how to provide healthcare in a cost-effective and scalable way is definitely a challenge here in the US, and also in most other nations in the world. We see an enormous opportunity for using technology to provide scalable personalized care. Of all the robotics and AI movies that have come out in the past five or ten years, Robot and Frank offers a vision comes closest to what we’re doing. The goal of the robot in that movie was to help Frank live healthier by building a relationship with him. We have the same underlying premise in what we’re doing: our technology is focused on building a relationship with the patient, because once we can do that, then we can talk to them about their health care. By comparison, usage rates on healthcare apps are incredibly low; most patients don’t pick them up after the first or second try. But as it turns out, there are particular psychological aspects of how people interact with robots that make them really effective at helping to solve this challenge. Do you see ways that other robotics companies can leverage what you’ve learned so far? It’s also important to understand what the existing marketplace looks like for those kinds of solutions right now, because the solution today may look very different. Our robot is an alternative to talking to a pharmacist on the phone, and it’s a very different solution, but understanding what the business model is for that kind of service, how those contracts work, who the players are in the space — I think that’s something that any company would be smart to take a look at and understand deeply before trying to compete in those markets. You’re tackling one of the largest growing areas of our economy, and you’re doing it with a combination of data, AI and robotics. What do you think has changed in the past couple of years to make robotics a viable solution to a broader range of applications? One of the biggest changes has been in the cost of building both hardware and software. Our robot is pretty simple; we’re not doing anything cutting edge in terms of the physical device that we’re building. But ten years ago producing our device might have cost 100 times what it does today, and that would have limited us to a small set of business models and it would have been very hard to make money. With the cost of building the technology drastically lowered, it has enabled us to do something very different today than what we could have done five years ago. Today we can build cutting edge technology at a reasonable price point and therefore deliver a cost effective solution. 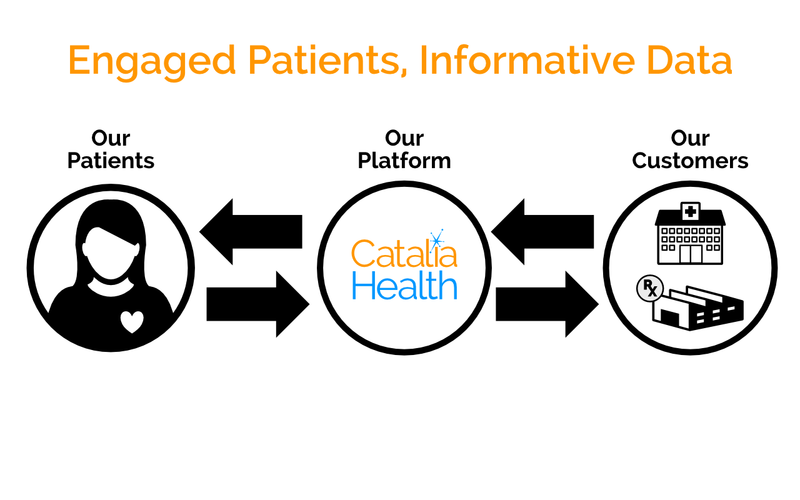 Catalia Health is a patient health management system using social robotics. Founded in 2013 by Dr. Cory Kidd, Catalia Health builds on years of research into Human-Robot Interaction starting at MIT’s Media Lab and continuing with social robot startups like Intuitive Automata. In June 2015, Khosla Ventures led a $1.25 million seed round in Catalia Health for the first trial customer engagements. Catalia Health is on a mission to address both sides of the healthcare equation: improving patients’ health and extending the capabilities and efficiency of healthcare companies. Silicon Valley Robotics is the industry group for robotics and AI companies in the Greater San Francisco Bay Area, and is a not- for-profit (501c6) that supports innovation and commercialization of robotics technologies. We host the Silicon Valley Robot Block Party, networking events, investor forums, a directory, and a jobs board, and we provide additional services and information for members, such as these reports.